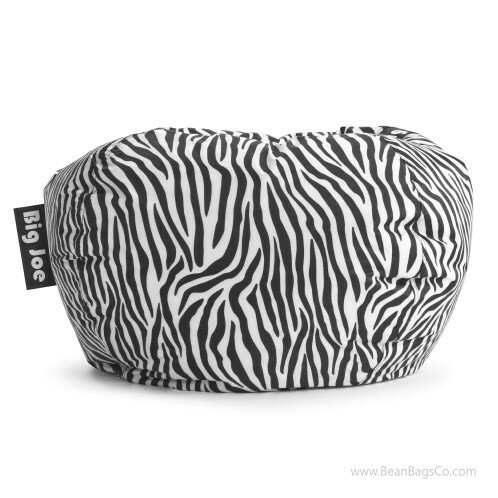 The Big Joe 98-inch bean bag in zebra print is not only a classic bean bag made of tough, stain-resistant and waterproof SmartMax fabric that cleans up easily with a damp cloth; it is also filled with UltimaX beads that conform to your body for the ultimate in support and comfort. UltimaX beads are the best type of filler for bean bags because they are 20 percent smaller than most beans and provide more durable, comfortable support. 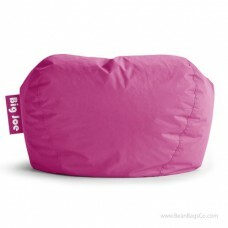 This huge bean bag chair has double stitching as well as double zippers for strength, safety and durability. 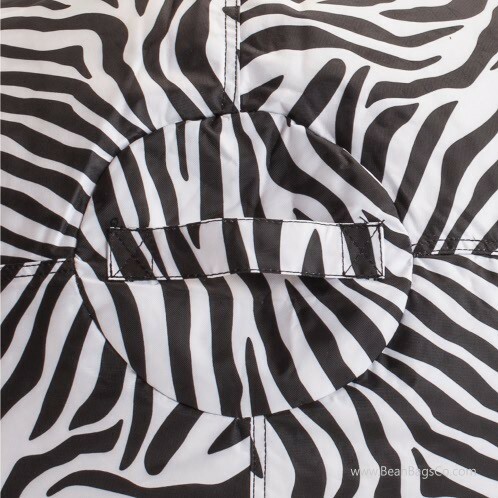 The beautiful zebra print will add punch to any room, including a den, bedroom, television room or playroom. You can even tote this big bean bag lounger to a slumber party or take it off to college for a great addition to your dorm room. 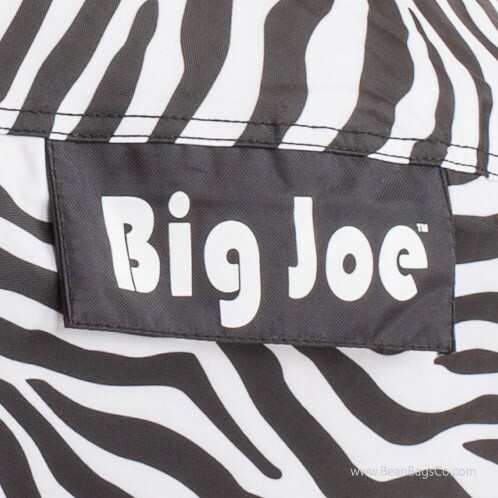 The Big Joe 98-inch bean bag chair is big enough to enclose and comfort anyone in the family who wants to kick back and relax in style.